Algeria’s president Abdelaziz Bouteflika will resign before his mandate ends on April 28, reports official press agency APS. 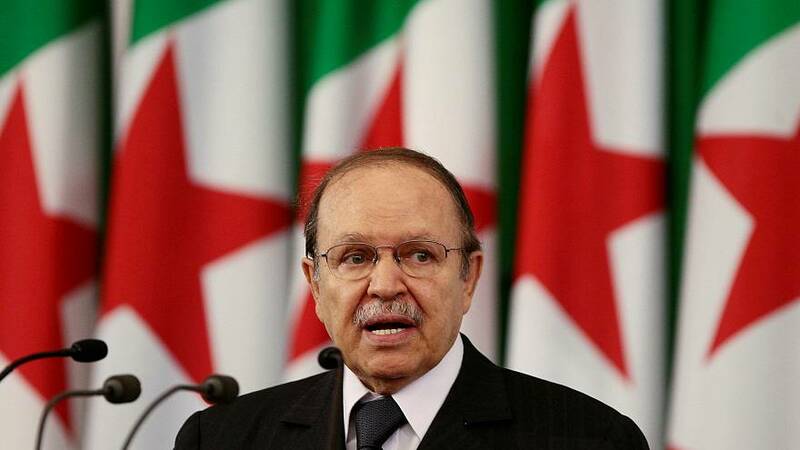 The agency, quoting a statement from the Algerian presidency, said Bouteflika would take measures to ensure the continuation of state institutions during a transition period and that he would before the expiration of his term. The 82-year old ailing four-time president has been under fire since his announcement to run for a fifth term in elections scheduled for April. Hundreds of thousands of protesters have since thronged the streets of Algeria, calling for Bouteflika to abandon his re-election bid. Amid mounting pressure and anger, the president who suffered a debilitating stroke in 2013, announced his decision early last month to not contest in the upcoming election. However, he delayed the presidential vote saying that he would resign only after the conclusion of a "national conference". The conference would be tasked with planning a date for the vote and drafting a new constitution for Algeria. Bouteflika's resignation announcement on Monday came a day after Lieutenant General Ahmed Gaid Salah called, once again, for invoking a provision in the constitution that could remove the president on account of ill health. Under article 102 of the Algerian constitution, the Constitutional Council can deem a sitting president no longer fit to carry out his duties. Members of the council can also move to declare the presidency vacant pending parliamentary approval. Click above to watch Alex Morgan's report in The Cube.